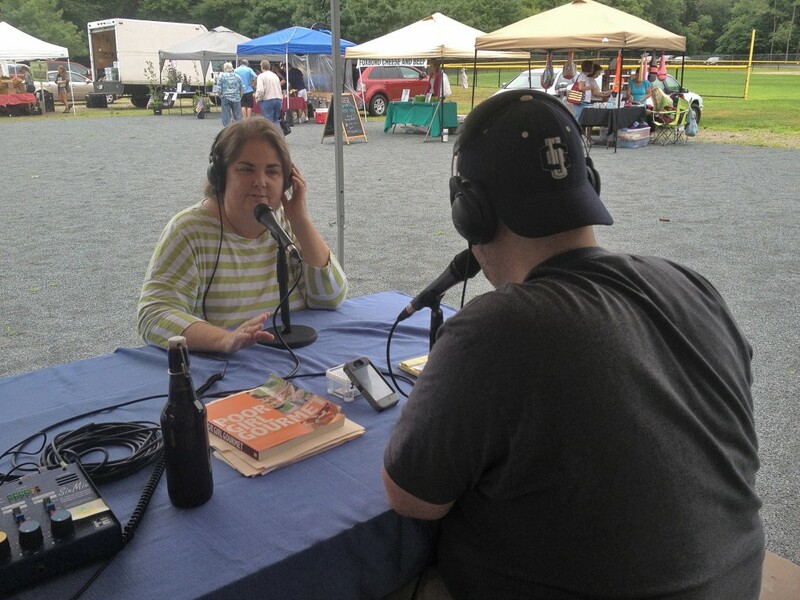 Mary Jordan from the Massachusetts Department of Agriculture Resource talks with Eddie Porreca, host of the Attleboro Farmers Market Radio Hour, during the live broadcast on Saturday, July 13, 2013. On July 13, the Attleboro Farmers Market Radio Hour was broadcasting LIVE at the Market between 8 and 10 a.m. on WARL 1320 am. The Attleboro Farmers Market Radio Hour guests were: Amy McCoy, blogger and the author of the Poor Girl Gourmet, Bert Buckley owner of The Clam Shack in Attleboro, Paul Poulot from the American Legion Post 312, Shannon and Kevin Johnson who are passionate Farmers Market shoppers and local brewers and Mary Jordan from the Massachusetts Department of Agriculture Resource . 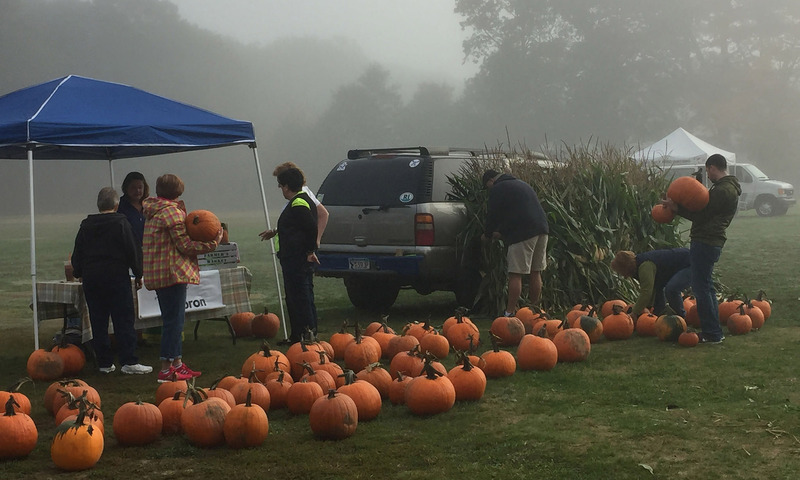 Listen to the Attleboro Farmers Market Radio Hour Saturdays at 8 a.m. on WARL 1320am and 10 a.m. on New England Free Radio. Archives of the shows can be found online at attleborofarmersmarket.com/afm-radio.